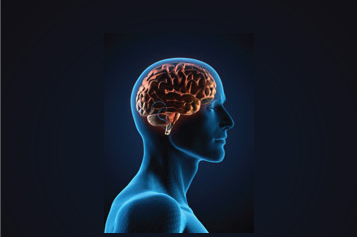 Neurological physical therapy is the evaluation and treatment of individuals with motor problems due to disease or injury of the nervous system. A potentially debilitating disease in which your body’s immune system “eats away” at the protective sheath that covers your nerves. This interferes with the communication between your brain and the rest of your body. Ultimately, this may result in the deterioration of the nerves themselves. A widely misunderstood chronic condition which causes pain in your muscles, ligaments, and tendons as well as fatigue and multiple tender points. This occurs when the blood supply to part of your brain is interrupted or severely reduced, depriving brain tissue of oxygen and food. Symptoms may include loss of balance, trouble walking, trouble speaking, numbness on one side of the body or face, and headaches. A disease of the nervous system that affects movement. It develops gradually often starting with barely noticeable tremors on one side of the body and remain worse on that side. Symptoms may include tremors, slowed motion, rigid muscles, impaired balance, and loss of automatic movements such as blinking. Usually results from a violent blow or jolt to the head that causes the brain to collide with the inside of the skull. Mild TBI (Concussion) may cause temporary dysfunction of brain cells. A more serious TBI can result in bleeding, torn tissue, and physical damage resulting in long term complications. A general term for a group of disorders that appear during the first few years of life affecting the child’s ability to coordinate movement. CP can cause muscles to be weak, rigid, and stiff.